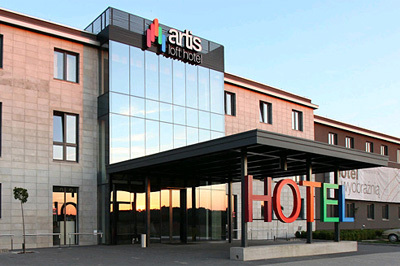 Only a 30 minute drive from Warsaw, guests will find the hotel Artis Loft which is a novel approach to the reception of guests. 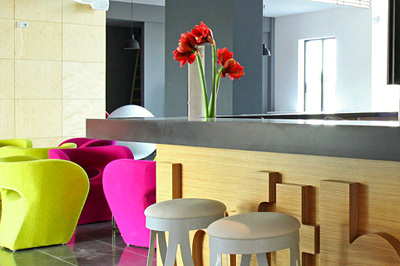 Modern colorful interior will stimulate your imagination and inspire you to new challenges. A sense of space and freedom to give you the opportunity to get away from everyday life and real rest and fruitful work. You will find perfect conditions to regenerate on vacation and to work efficiently. The hotel has Internet access, both inside and outside to allow you to be always updated with the necessary information. 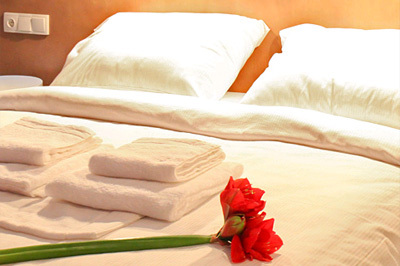 The mission of the hotel is welcoming visitors in an environmentally friendly way. Guests will be included in the action for the environment and will also stay here for your contribution to the care of the environment. The hotel staff is sensitized to the issue of raw materials and energy saving. To start your day with a pleasant hotel offers guests a comfortable Swedish breakfast table every day from 6.30 to 10.00 and on weekends from 7.30 to 10.30. When choosing from the buffet as you like for sure you will not go hungry and gain energy for the day. The modern design in the style of industrial architecture delights colors, simplicity of form and space. The hotel has been designed for guests to feel the space and convenience. 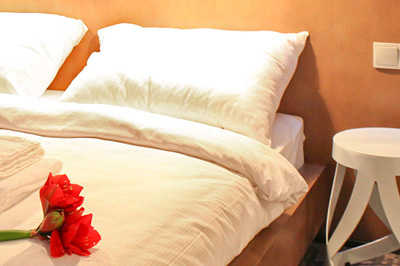 The rooms are modern lofts with soundproofed windows, ensuring guests peace and tranquility. 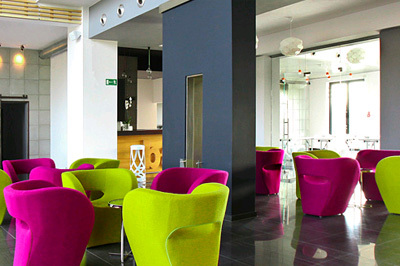 The rooms are designed in vibrant, energetic colors. 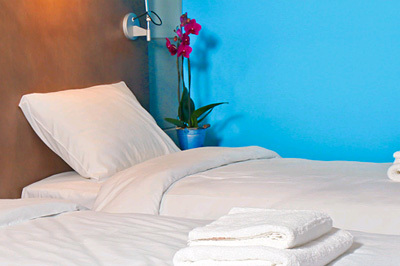 Guests can choose your favorite color and enjoy your stay in this environment that you choose. The hotel also offers meals in a modern style. You may purchase snacks at the hotel shop active 24 hours, reheat them and eat in the elegant dining room or in your room. You are free to compose a meal. The shop offers delicious sandwiches, salads, hot dishes, sweet snacks and drinks. Do not worry that you forgot to take something out of the house, because the store you can buy everything you need on the go. The place where you spend time integrating with others, and drawing skills, is the hotel bar. Ambient light and good music will make you have fun here. The bar is open daily from 16.00 to 24.00. The hotel has 4 comfortable, fully equipped, air conditioned conference rooms that can accommodate up to 220 people. Any configuration settings allows you to organize a meeting of any meetings and conferences. There is wireless internet access, multimedia equipment, sound system, back office. In addition, the hotel provides meeting participants with coffee breaks, snacks, lunches and dinners. 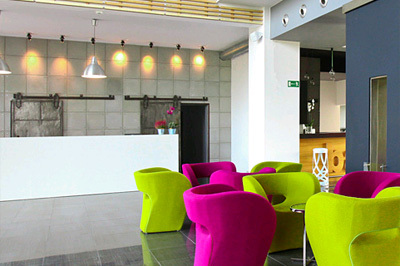 Artis Hotel Loft located in the town Radziejowice, 30 minutes from Airport. Fryderyk Chopin Okecie Airport, and 40 minutes from the city center, the 411 km route No. 8 leading from Warsaw to Katowice and Wroclaw.